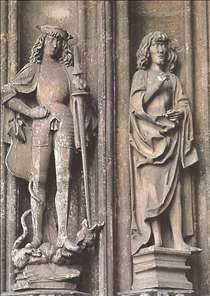 Multscher was a German sculptor active in Ulm. 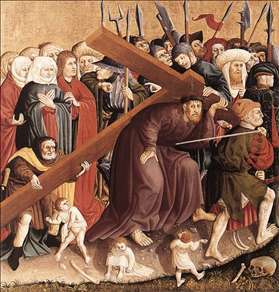 The solid naturalism of his style, reminiscent of Sluter, suggest that he was trained in the Netherlands or northern France. 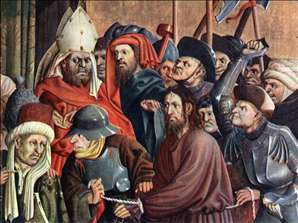 He ran a large workshop, which was influential in spreading this manner in Swabia. 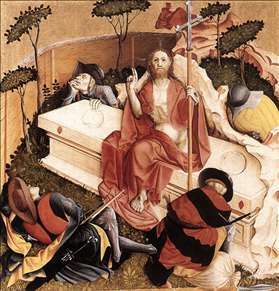 Paintings were integral to his altarpieces, but it is a matter for debate whether he practised painting himself. 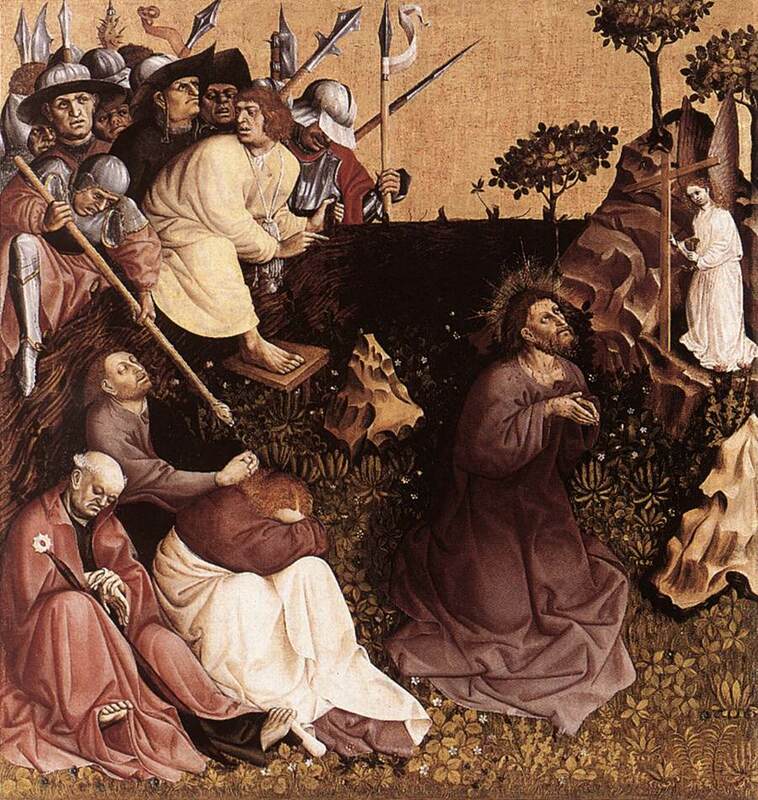 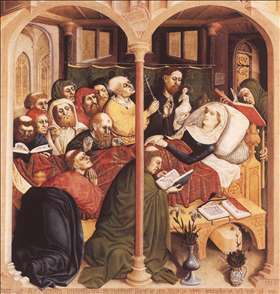 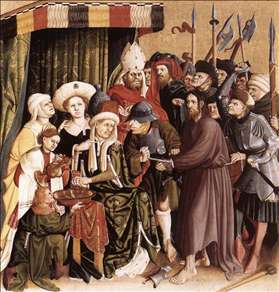 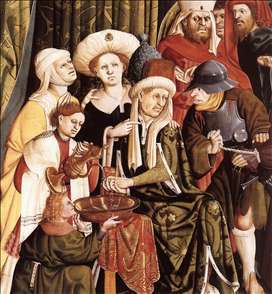 The Wurzach altar (1437), the only painting attributed to him by some experts, exhibits a realism nearer to contemporary Flemish than German painting. 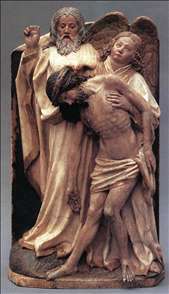 Among his most important works was the high altar for the church at Sterzing in the Tyrol (1456-58), part of which are now in the Multscher museum there. 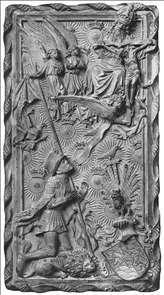 See more details about "St George and St John the Evangelist"
See more details about "Model of a Tomb"
See more details about "Christus before Pilate "
See more details about "The Death of the Virgin"
See more details about "Holy Trinity"
See more details about "Prayer on the Mount of Olives"
See more details about "Christ before Pilate"
See more details about "Christ before Pilate "
See more details about "Resurrection"